CEFLEXIN CAPSULES 500mg (CEPHALEXIN) "VPP"
Moderate to severe infections 500 mg to 1 gram every 6 to 8 hrs. *In rare instances, doses of up to 12 grams of Cefazolin Injection per day have been used. 1. 1 gram IV administered one-half hour to 1 hour prior to start of surgery. 2. For lengthy operative procedures (e.g., 2 hours or more), 500 mg to 1 gram IV during surgery (administration modified depending on the duration of the operative procedure). 3. 500 mg to 1 gram IV every 6 to 8 hours for 24 hours postoperatively. It is important that (1) the preoperative dose be given just (1/2 to 1 hour) prior to start of surgery so that adequate antibiotic levels are present in the serum and tissues at the time of initial surgical incision; and (2) cefazolin be administered, if necessary, at appropriate intervals during surgery to provide sufficient levels of the antibiotic at the anticipated moments of greatest exposure to infective organisms. In surgery where the occurrence of infection may be particularly devastating (e.g., open-heart surgery and prosthetic arthroplasty), the prophylactic administration of cefazolin may be continued for 3 to 5 days following the completion of surgery. 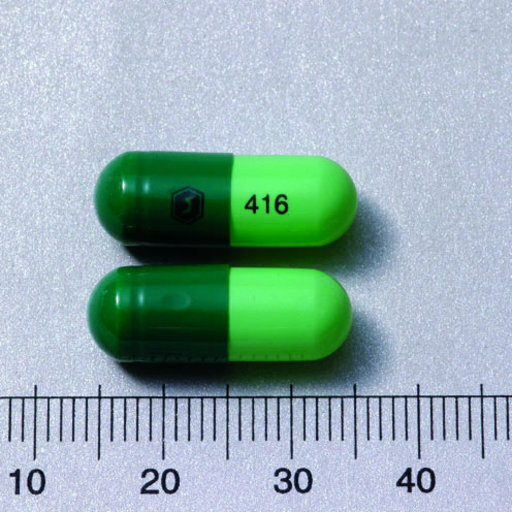 Cefazolin Injection may be used in patients with reduced renal function with the following dosage adjustments: Patients with a creatinine clearance of 55 mL/min. or greater or a serum creatinine of 1.5 mg % or less can be given full doses. Patients with creatinine clearance rates of 35 to 54 mL/min. or serum creatinine of 1.6 to 3.0 mg % can also be given full doses but dosage should be restricted to at least 8 hour intervals. Patients with creatinine clearance rates of 11 to 34 mL/min. or serum creatinine of 3.1 to 4.5 mg % should be given one-half the usual dose every 12 hours. Patients with creatinine clearance rates of 10 mL/min. or less or serum creatinine of 4.6 mg % or greater should be given ½ the usual dose every 18 to 24 hours. All reduced dosage recommendations apply after an initial loading dose appropriate to the severity of the infection. The cephalosporins are a class of β-lactam antibiotics originally derived from the fungus Acremonium, which was previously known as "Cephalosporium". Together with cephamycins, they constitute a subgroup of β-lactam antibiotics called cephems. Cephalosporins were discovered in 1945 and were first sold in 1964. The commonly quoted figure of 10% of patients with allergic hypersensitivity to penicillins and/or carbapenems also having cross-reactivity with cephalosporins originated from a 1975 study looking at the original cephalosporins, and subsequent "safety first" policy meant this was widely quoted and assumed to apply to all members of the group. Hence, it was commonly stated that they are contraindicated in patients with a history of severe, immediate allergic reactions (urticaria, anaphylaxis, interstitial nephritis, etc.) to penicillins, carbapenems, or cephalosporins. This, however, should be viewed in the light of recent epidemiological work suggesting, for many second-generation (or later) cephalosporins, the cross-reactivity rate with penicillin is much lower, having no significantly increased risk of reactivity over the first generation based on the studies examined. The British National Formulary previously issued blanket warnings of 10% cross-reactivity, but, since the September 2008 edition, suggests, in the absence of suitable alternatives, oral cefixime or cefuroxime and injectable cefotaxime, ceftazidine, and ceftriaxone can be used with caution, but the use of cefaclor, cefadrocil, cefalexin, and cefradine should be avoided. Several cephalosporins are associated with hypoprothrombinemia and a disulfiram-like reaction with ethanol. These include latamoxef, cefmenoxime, moxalactam, cefoperazone, cefamandole, cefmetazole, and cefotetan. This is thought to be due to the N-methylthiotetrazole side-chain of these cephalosporins, which blocks the enzyme vitamin K epoxide reductase (likely causing hypothrombinemia) and aldehyde dehydrogenase (causing alcohol intolerance). Cephalosporins are bactericidal and have the same mode of action as other β-lactam antibiotics (such as penicillins), but are less susceptible to β-lactamases. Cephalosporins disrupt the synthesis of the peptidoglycan layer forming the bacterial cell wall. The peptidoglycan layer is important for cell wall structural integrity. The final transpeptidation step in the synthesis of the peptidoglycan is facilitated by transpeptidases[disambiguation needed] known as penicillin-binding proteins (PBPs). PBPs bind to the D-Ala-D-Ala at the end of muropeptides (peptidoglycan precursors) to crosslink the peptidoglycan. Beta-lactam antibiotics mimic the D-Ala-D-Ala site, thereby irreversibly inhibiting PBP crosslinking of peptidoglycan.